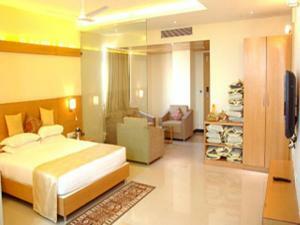 Situated in Indore, Hotel Mangalcity is a 5-minute walk from Vijay Nagar Shopping Square. 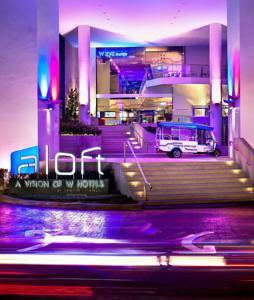 It features a 24-hour reception and air-conditioned rooms that overlook the city. Free Wi-Fi and parking are provided. Modern rooms feature light wood furnishings and warm lighting. They are equipped with a flat-screen cable TV, seating area and a private bathroom with a bathtub or shower. For convenience, the hotel provides bus and railway ticketing reservations, while tours and safari trips can be made at the tour desk. There is also a business centre and a wireless internet café on site. Mangalcity Hotel is 6 km from Indore Railway Station and 16 km from Indore Domestic Airport. Free! One child under 12 years stays free of charge when using existing beds. One further older child or adult is charged INR 645 per person per night in an extra bed. The maximum number of extra beds in a room is 1. There is no capacity for cots in the room. Any type of extra bed or crib is upon request and needs to be confirmed by management. Additional fees are not calculated automatically in the total cost and will have to be paid for separately during your stay.